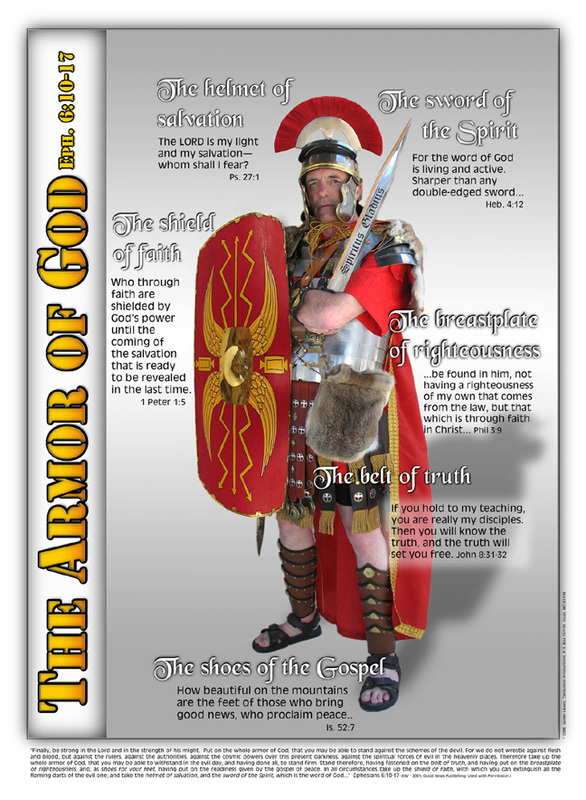 Armor of God posters come in three sizes: 8 1/2”x11”, 11”x14”, and 16”x20”. The pdf file can be taken to your local digital printer. We suggest using glossy card stock. The 16” x 20” can be enlarged to poster size. The posters can be used at church, in a Sunday School room, in a boy’s bedroom, or in your office. When purchasing a frame, may we suggest you a frame one size larger so that it comes with a matte. We use Payloadz for our digital deliveries. If you have a PayPal account you can use that, or on the order page you can click the button below the PayPal option and pay with any credit card without haveing to create a PayPal account. NOTE: Making prints and selling them is against Federal Copyright Laws.